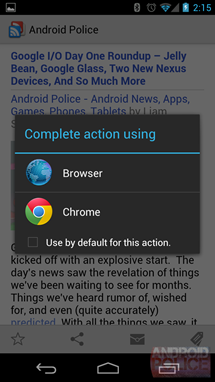 The app picker is the thing that pops up when more than one app can handle an action. The left picture is what it used to look like in ICS, the right picture is what it changed to in Jelly Bean. The look of it isn't what we're concerned about, though, it's the function. 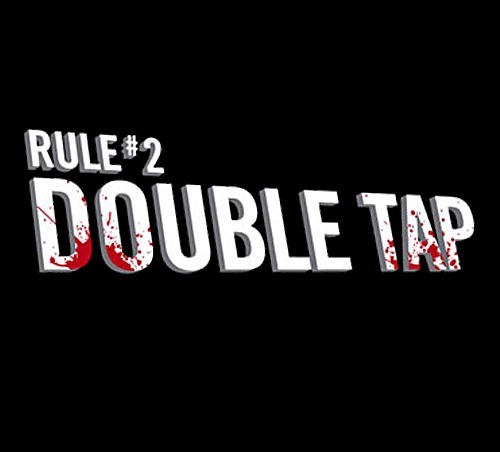 The ICS version would go to your app of choice with 1 tap; the new Jelly Bean version requires 2, one for the app, and one for "Always" or "Just Once." This annoyed those of us who use it as an "open with" window, so that we can easily use different apps for different situation. It was slower. If you also remember, I complained about this in a 4.1 GTKA, and Adam Powell, an Android framework engineer, was nice enough to give us Google's thought process behind the new picker. They basically wanted to give the "Always" and "Just Once" options equal weight, and force users to explicitly pick one. When I said this slowed down power users who liked having an easy-to-use "open with" dialog for certain situations, Adam only said "We hear you. Watch this space." That's right! 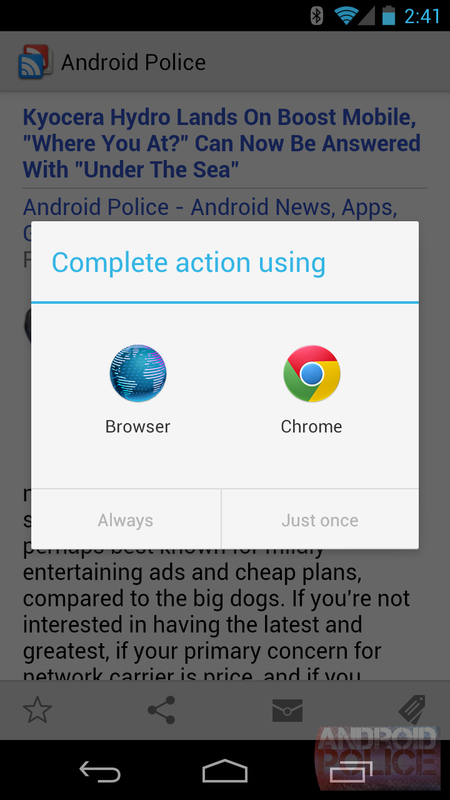 In Android 4.2, a double tap will allow you to skip the "Always/Just Once" button and get right into your app. 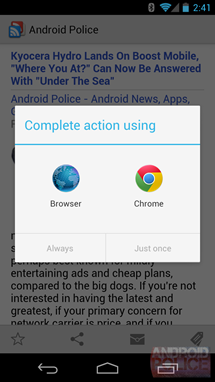 That's much faster than the "Always/Just Once" decision, and a happy medium between Google's need to present "Always" and "Just Once" on even footing, and the power user's desirer to have an easy "open with" window. Thanks for the tip Adam! You rock!